Jerry DeLemus, co-chair of Veterans for Trump in New Hampshire and husband of a state lawmaker, has been arrested on federal charges based on his involvement in the government's standoff with cattle rancher Cliven Bundy two years ago in Nevada. He was arrested on Thursday morning, his wife, Republican State Rep. Susan DeLemus, told the Union Leader. 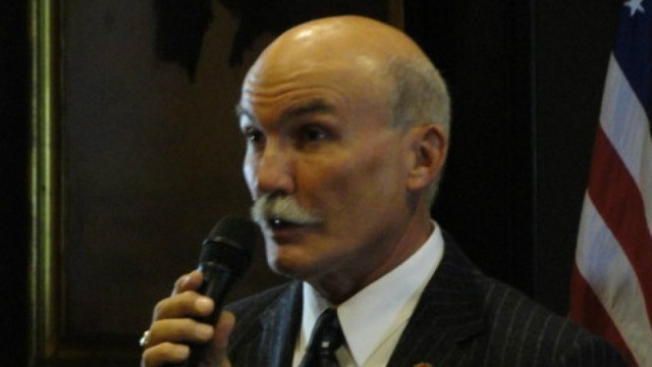 He is a well-known Tea Party leader and former candidate for Strafford County sheriff. DeLemus, of Rochester, has been named as a "mid-level leader" and organizer of a conspiracy to recruit, organize, train and provide support to armed men and other followers of Bundy. The indictment also names Bundy and four others. It says DeLemus "organized and led armed patrols and security checkpoints." In 2014, DeLemus joined other conservative activists in Nevada to help Bundy protect his ranch from federal officials who were rounding up his cattle over unpaid grazing fees. He also traveled to Oregon earlier this year when Bundy's sons became involved in a standoff there with the federal government. Bundy and his two sons are also facing federal indictment in connection with the 2014 case. DeLemus is due to appear federal court in Concord on Thursday afternoon. Calls to his court-appointed attorney were not immediately returned.